Chatteris Town Council in association with FACT bus company will be launching new shuttle bus services to Ely Leisure Village, City Centre and Tesco’s (Railway Station). every Saturday and once a month on a Monday to St Ives for the market. 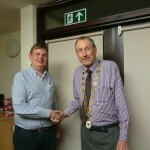 Chatteris Town Council has a new Facebook page, please search for it and ask to become a friend. The Mayor of Chatteris, Cllr Bill Haggata, is pictured with young helpers at the family tree planting day at Little Acre Fen Pocket Park in November. 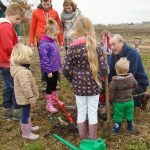 In a great show of community spirit over 50 people descended on the site to help plant trees and hedgerows around the park which is being developed by Chatteris Town Council. All the saplings had been generously donated by local people and representatives of organisations including the Town Council, Chatteris in Bloom, Chatteris Street Pride and Chatteris Past, Present and Future, Little Bloomers, the cubs and brownies joined families in giving up their time to enhance the environment for future generations. The Council is very grateful to everyone who turned up to help and those who donated trees and hedging. The aim is to create a space where everyone can enjoy the vast open skies of the Fens and to link in with the Old Railway Line Footpath to form a circular walk. After paying for the site to be cleared and a footpath installed, the Council is now commissioning work to install a pond and dipping platform, a raised viewing area and a dry pond. Local residents are being invited to sponsor trees in a memorial area and Orchards East will be supplying trees for a community orchard. Councillors Julie Smith, Bill Haggata and James Carney have been instrumental in driving forward the Little Acre Fen project and were delighted by the turnout. They are now hoping local people will join a “Friends of” group for the park to help with future development and maintenance. The main attraction was the lighting of the beacon and a good crowd watched as the Deputy Mayor Cllr James Carney set light to the beacon which is located in the Parish Church grounds. The Mayor of Chatteris, Cllr Bill Haggata read out the Tribute to the Millions, a bugler sounded the Last Post (along with buglers at more than 1,000 locations). Chatteris Parish Church then became part of the 1,000 churches and cathedrals ringing their bells as part of Ringing out for Peace and Town Crier Mr Lawrence Weetman performed a specially written Cry for Peace Around the World. Cllr Bill Haggata has been re-elected as Mayor of Chatteris for a third term. Cllr Haggata’s wife Ruth is the Mayoress and the Deputy Mayor for a third year is Cllr James Carney. It was officially launched at the Annual Town Meeting on Friday 11th May 2018 at the King Edward Centre. On the 28th November 2017 Chatteris commemorated the 100th anniversary of the death of its most decorated soldier George Clare. Pte. George Clare was awarded the highest military honour, the Victoria Cross, on the night of the 28th/29th November 1917 for “most conspicuous bravery and devotion to duty when, acting as a stretcher-bearer during most intense and continuous enemy bombardment,”. The Mayor unveiled a blue plaque erected in George Clare’s honour in Clare Street, where he lived, and a special commemorative paving stone at the War Memorial. The stone, donated by the Government, is the only one in Fenland. Both unveilings were watched by a good crowd of local residents. The Royal British Legion organised a morning of activities to mark the occasion, which included a parade and a church service. Special thanks must go to Major Norman Larke, members of the Royal British Legion, volunteers and all those who took part in the parade for a well organised, fitting tribute to George Clare. The RBL also organised commemorative events on Saturday 25th November at various points in the town. A sight of the largest pumpkin grown in Cambridgeshire wowed shoppers at Aldi supermarket and helped to raise hundreds of pounds for charity. The pumpkin, grown by Mr John Richardson, won the cup for the largest pumpkin at the Chatteris Allotment Association Pumpkins and Produce Show and then won the Heaviest Pumpkin grown in East Anglia cup at the Soham Pumpkin show. Visitors to the Chatteris show were invited to try and guess the weight of the giant vegetable and two correctly guessed 300kg. The pumpkin was on show in Aldi’s car park for a weekend and shoppers were invited to donate money to BBC Children In Need. The impressive sum of £750 was raised for the charity. Mr Ian Benny was duly elected to fill the vacancy on the Slade Lode ward of Chatteris Town Council on Thursday 14th September 2017. Mr Benney will sign his declaration of office at the next Town Council meeting on the 3rd October 2017. There was a good response to the on-line poll to decide upon the theme of the 2018 Midsummer Festival. The poll closed on Wednesday 13th September and the theme was confirmed at the Open Meeting that evening – Musicals was the run away choice and has therefore been chosen as the theme for the Festival which will take place on June 30th/July 1st 2018. If you have any ideas for the Festival or would like to help in some way please come along to the next open meeting on Monday 13th November 2017 at 7pm at the Council Chambers, 14 Church Lane, Chatteris. The committee is in need of extra volunteers to not only plan next year’s event but to also help over the weekend. 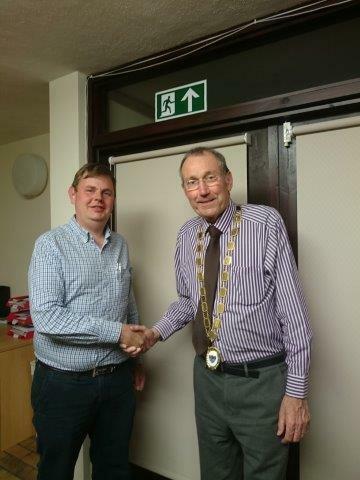 The Mayor of Chatteris for a second year is Cllr Bill Haggata who was elected at the Annual Town Meeting in May. Cllr Haggata was co-opted on to the Council in 2014 and stood for election in 2015. Cllr Haggata is a Museum Trustee, a member of Chatteris Community Archive, was a founding member of the community cinema and a founder chairman of CPPF. Cllr Haggata’s wife Ruth is the Mayoress and Cllr James Carney, former Mayor, is now the Deputy Mayor. 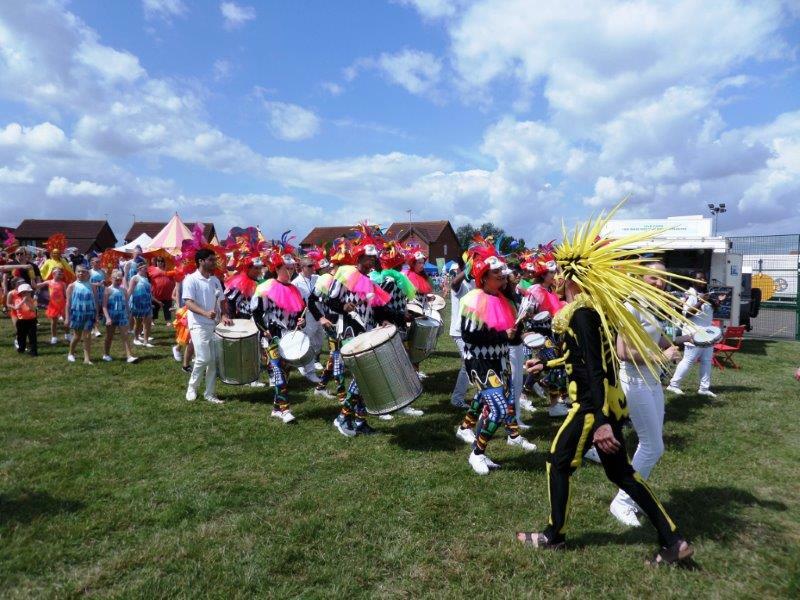 This year’s Midsummer Festival was held on the 24th and 25th June at Furrowfields Recreation Ground and was once again a great success with a record number of people attending. 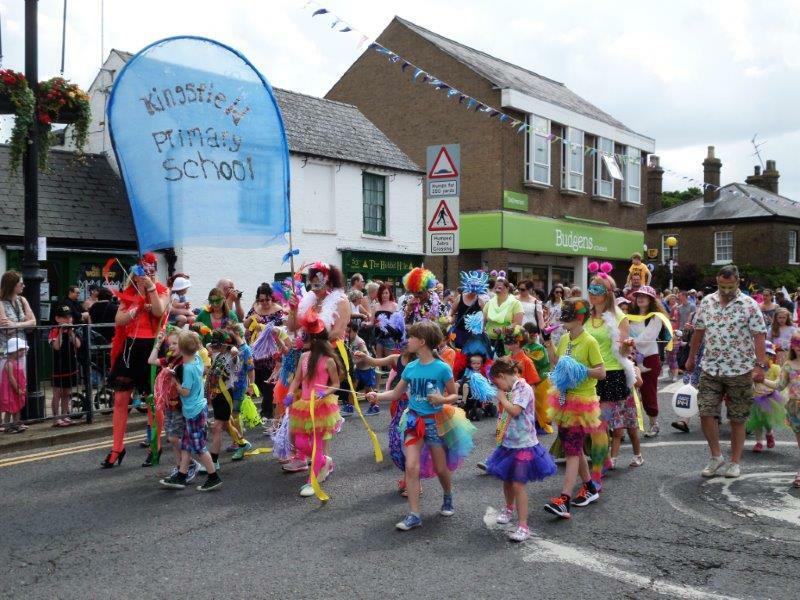 The theme this year was Animals on Parade and many organisations, groups and individuals took part in the fun by walking through the town dressed in animal inspired costumes. The big attraction this year was the two camels who led the parade. The animal theme continued on the field with a chance to get up close to exotic animals such as snakes and meerkats and to hold owls and birds of prey. The acoustics session on the Saturday was a great showcase for local singers and the music and the Party in the Park was well received with many families taking advantage of the opportunity to relax on a summer’s evening and listen to music safe in the knowledge that their children had space to run around or enjoy fairground rides. Many thanks to all the volunteers and FDC and Town Council officers who helped to make this year’s Festival such a success. 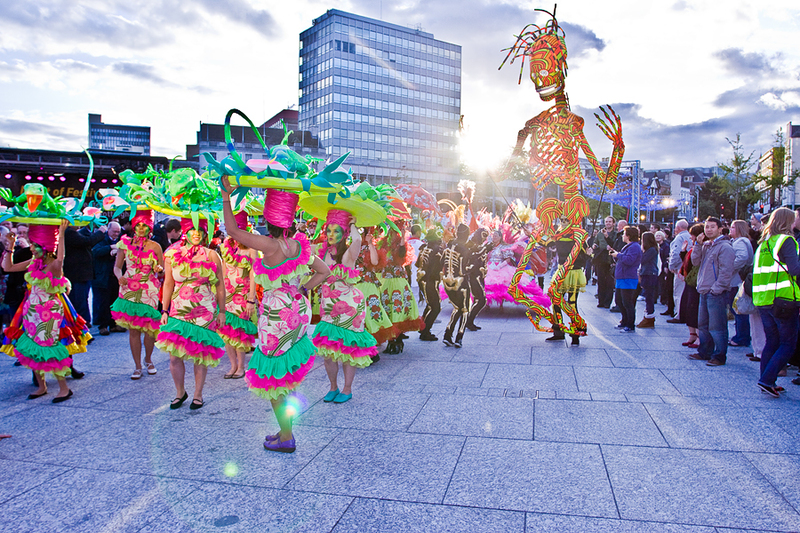 This year’s festival was bigger and better than ever; it certainly was the most colourful to date because the theme was Mardi Gras. 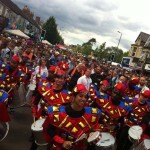 Hundreds of people took part in the parade and hundreds more lined the streets to cheer it on. 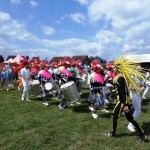 Thousands visited the Festival on the Saturday and enjoyed a host of activities and hundreds returned in the evening for the Party in the Park. 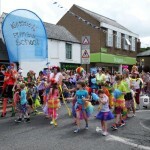 Rain on the Sunday morning did not deter those who took part in the dog show and as the weather cheered up the crowds came out again to enjoy the tug of war, cream teas and childrens’ sports in addition to performances in the arena and the marquee. A big thank you to everyone who helped to make the Festival such a success, in particular the volunteers who gave up their time over the weekend. Thanks also to Chatteris Town Council and Fenland District Council for the administration and funding the event. 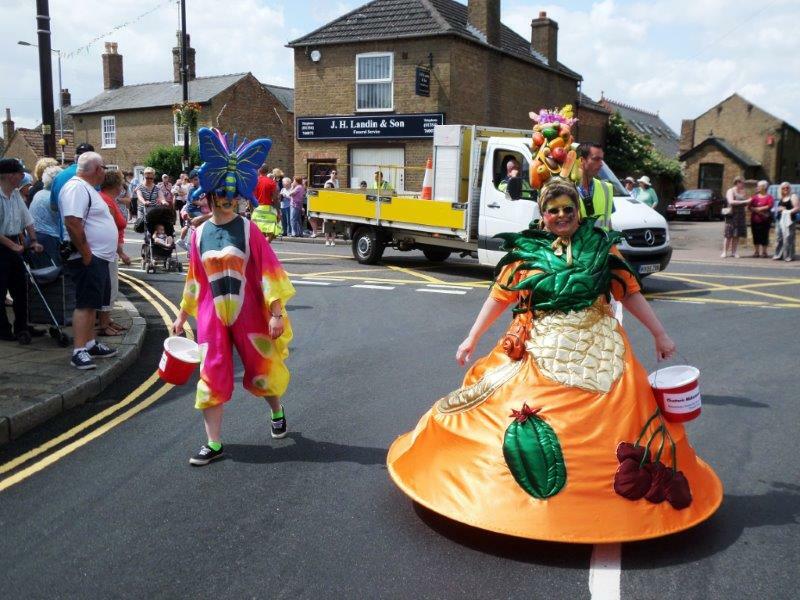 To see some of the highlights of this year’s Festival visit Youtube and type in Chatteris Midsummer Festival 2015. The Town Council site can be easily found by searching ‘Chatteris Town Council’ or with the username @ChattTownCoun. There, users and followers will find a link to the council’s website which gives more detailed information about the Council and its members. 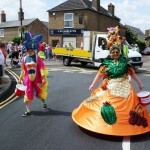 For Chatteris Street Pride and In Bloom Information please visit the Useful Information Page.